Shrink wrap bags are a sleek and professional packaging option for handmade soaps and cosmetics. Our shrink wrap bags have tiny vent holes which allow air to escape as the bag shrinks. They become hidden once the bags have been heated and shrunken. Shrink wrap is popular for odd-shaped soaps such as soaps with toy embeds in them. 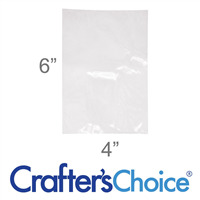 Use this 4 x 6 shrink wrap bag to protect your product and provide a shield against dirt and debris. Perfect size for a bar of soap! Shrink wrap bags are great for keeping gift sets together and protecting your products! 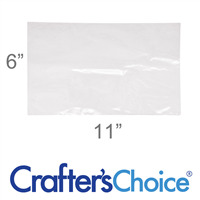 Use this 6 x 11 Shrink Wrap Bag with your products today! 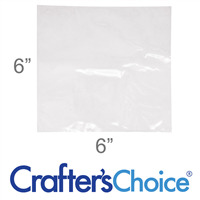 Use this 6 x 6 Shrink Wrap Bag on your handmade products to provide a profession look and protect against dirt and debris.